With the encouragement of the late soprano singer Anne-Lise Berntsen, Trygve Seim composed his first Rumi Songs in 2003, and he has been developing the project since then, along the way exploring different instrumentation (from voice, church organ and piano to the massed ranks of the Cairo Symphony Orchestra) before settling on the present line-up. In 2013 the full cycle of Rumi Songs was premiered in Østfjold, Norway, and further fine-tuned on tour before the present recording, which was produced by Manfred Eicher at Oslo’s Rainbow Studio in February 2015. The project’s genesis is described in detail in the album’s liner notes. Trygve Seim made an immediate impact with his ECM leader debut Different Rivers which won the Preis der Deutschen Schallplattenkritik as Album of the Year in 2001. Since then he has been heard on more than 20 ECM albums including Sangam with his large ensemble, on recordings with the collective The Source, in duos with Frode Halti and with Andreas Utnem, with Jacob Young’s group, and more. 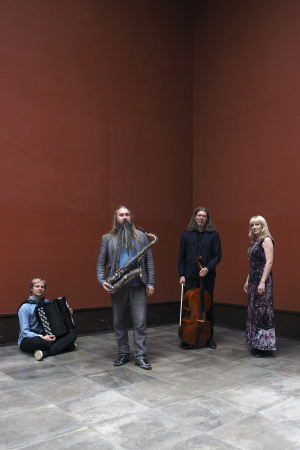 This summer he is omnipresent, appearing also with Mats Eilertsen’s septet on Rubicon, with Iro Haarla and symphony orchestra on Ante Lucem, and with Sinikka Langeland and the Trio Mediaeval on The Magical Forest, as well as his own Rumi Songs. A masterful jazz improviser, Trygve Seim expanded his palette with studies of Arab music in Cairo, and between 2005 and 2010 collaborated often with Egyptian musician Fathy Salama. Tora Augestad makes her first ECM appearance with Rumi Songs. In demand as both singer and actor, her early performing life found her specializing in Hanns Eisler, Bertolt Brecht and Kurt Weill. She has worked often with Swiss theatre director Christoph Marthaler and given first performances of works including Beat Furrer’s opera Wüstenbuch. Cage, Schoenberg, Cathy Berberian and Berio all feature in her recital repertoire, and she leads her own band Music For A While, which spans jazz and early music. Frode Haltli is one of the most creative contemporary accordionists, working in the fields of new music, improvisation, and traditional folk. His recordings on ECM include Looking on Darkness with music of Bent Sørensen, Asbjørn Schaathun, Magnus Lindberg, PerMagnus Lindborg, and Maja Solveig Kjelstrup Ratkje, and Passing Images featuring Garth Knox, Maja Ratkje and Arve Henriksen, as well as Yeraz, a duo recording with Trygve Seim. 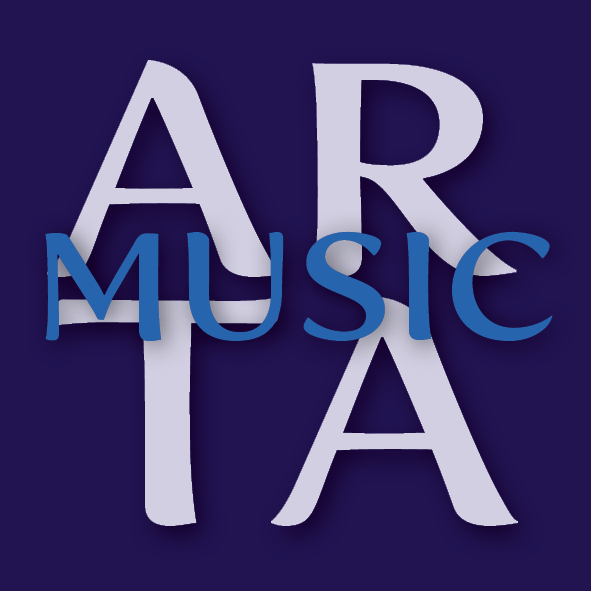 ECM New Series will shortly issue the album Air with music written for Haltli by Bent Sørensen and Hans Abrahamsen and featuring the accordionist playing solo and with the Arditti Quartet and the Trondheim Soloists. Cellist Svante Henryson, who has previously appeared on ECM recordings in duo with Ketil Bjørnstad (Night Song) and as a member of Jon Balke’s Magnetic North Orchestra (Kyanos, Magnetic Works), began his musical career as principal bassist with the Norwegian Chamber Orchestra. As bass guitarist he worked with Yngwie Malmsteen’s group, and as cellist has been a chamber music partner to Anne Sofie von Otter. A veteran of numerous sessions across the idioms, he is also a composer of orchestral, choral and chamber music. Trygve Seim launches Rumi Songs with a special concert at the Oslo Jazz Festival on August 20th.